"Delicious sea bass fillets are studded with fresh chervil and served with pesto over new potatoes and portobello mushrooms. The sea bass is broiled, but try grilling it during the warm months." "This simply prepared fish stew is a classic French recipe from Marseilles. Serve with a slice of hot toast topped with a spoonful of rouille." 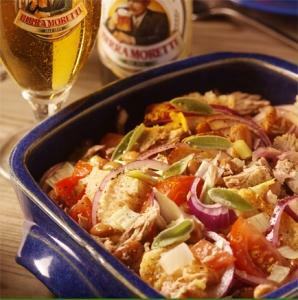 Moretti is the premium Italian beer that Italians prefer. A smooth, well balanced lager, it is a perfect match for fine Italian foods, for special occasions, or for anytime! 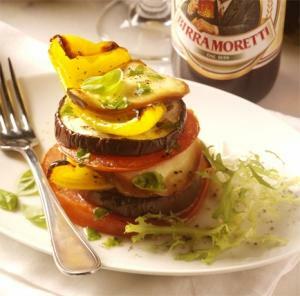 In case these recipes don't fit your desire, search for any one of the following types of recipes that pair with the Moretti Lager and Moretti LaRossa. got any good pairing suggestions?